Marvel can place another feather in its cap as Doctor Strange finished its run at the box office, garnering some massive bucks for the first big screen adventure of the Sorcerer Supreme. Scott Derrickson and Benedict Cumberbatch’s first Marvel Studios collaboration earned $232.6 million in its domestic run, contributing to its $677 million worldwide haul. Those earnings are backed up with our own rating, where it's currently the 9th Best Comic Book Movie as voted by ComicBook.com readers. The numbers also prove the Marvel magic is still going strong as they take relatively unknown properties and churn them out to create potential franchises. Doctor Strange’s budget was $165 million, and productions typically have to double that in earnings in order to turn a profit due to distribution and marketing costs tacked on to that total. The fact that Doctor Strange greatly exceeded those numbers before home release is certainly a success for Disney and Marvel. The run makes Doctor Strange the 9th most profitable Marvel Studios film domestically and the 7th most profitable in the worldwide markets, coming behind the Avengers films, Iron Man 3, and Captain America: Winter Soldier. This was bolstered by its $85 million opening weekend, an impressive feat for a brand new film with unestablished characters. These numbers certainly contribute to the case to make a sequel film, which was obviously set up with a post-credits scene hinting at Chiwetel Ejiofor’s character Karl Mordo taking a dark turn. We’ll see if Derrickson and Cumberbatch get to expand on that development in Doctor Strange 2: Secrets of the Ooze. Doctor Strange is now available on Digital HD, Blu-ray, and DVD. What did you think of the film? Let us know with your vote in our Movie Database below! 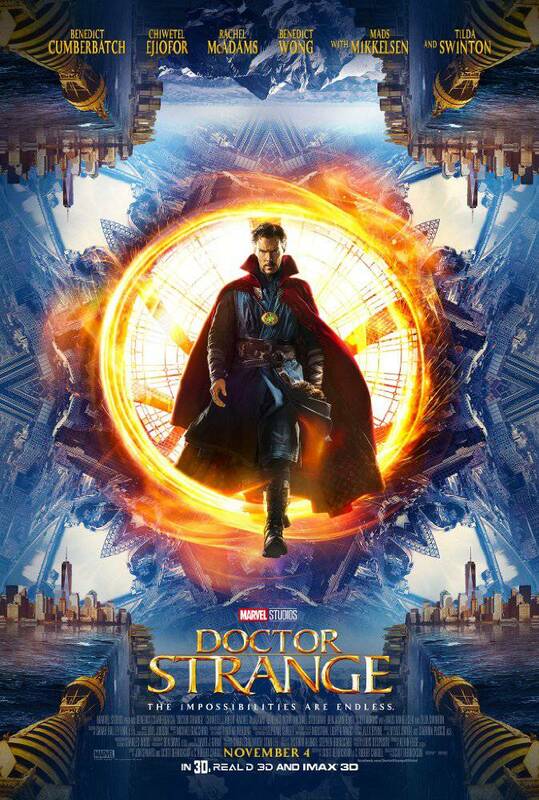 From Marvel Studios comes Doctor Strange, the story of world-famous neurosurgeon Dr. Stephen Strange whose life changes forever after a horrific car accident robs him of the use of his hands. When traditional medicine fails him, he is forced to look for healing, and hope, in an unlikely place – a mysterious enclave known as Kamar-Taj. He quickly learns that this is not just a center for healing but also the front line of a battle against unseen dark forces bent on destroying our reality. Before long, Strange – armed with newly acquired magical powers – is forced to choose whether to return to his life of fortune and status or leave it all behind to defend the world as the most powerful sorcerer in existence. Doctor Strange stars Benedict Cumberbatch, Chiwetel Ejiofor, Rachel McAdams, Benedict Wong, Michael Stuhlbarg, Benjamin Bratt, and Scott Adkins, with Mads Mikkelsen and Tilda Swinton. Scott Derrickson is directing with Kevin Feige producing. Louis D’Esposito, Victoria Alonso, Stephen Broussard, Charles Newirth and Stan Lee serve as executive producers. Jon Spaihts and Scott Derrickson and C. Robert Cargill wrote the screenplay.